The normal epiglottis is a very thin flap of tissue that closes over the windpipe when swallowing preventing food/liquids from going down the wrong way. 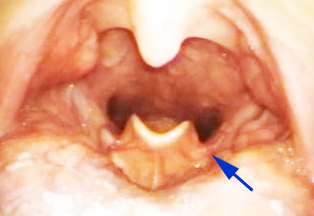 Shown by the blue arrow in the picture, when the epiglottis becomes infected, it can swell in size to even obstruct the airway leading to death by asphyxiation. Indeed, epiglottitis is what is thought to have killed our first President George Washington. 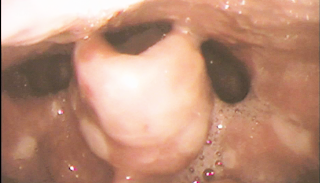 Fortunately, epiglottitis is quite rare ever since the introduction and regular use of the Hib vaccine in the 1980s. Although rare, it is a problem that still occurs intermittently even today. Each time I've encountered it in the past, I unfortunately was always in a situation whereby video recording of the endoscopic exam was not feasible. 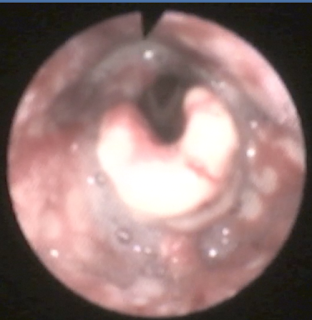 That is until recently, when a patient with epiglottitis did walk into my clinic and I WAS able to video-record the endoscopic exam. 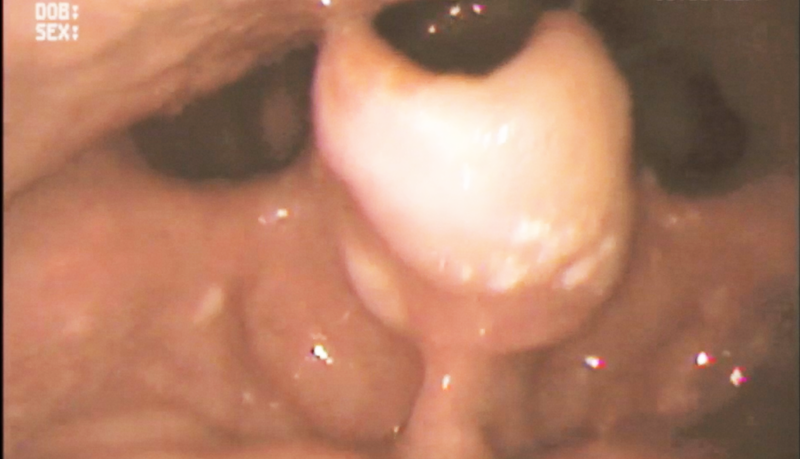 Not only that, I was able to video document the appearance regularly over time until the epiglottitis was completely resolved with antibiotics and steroids. 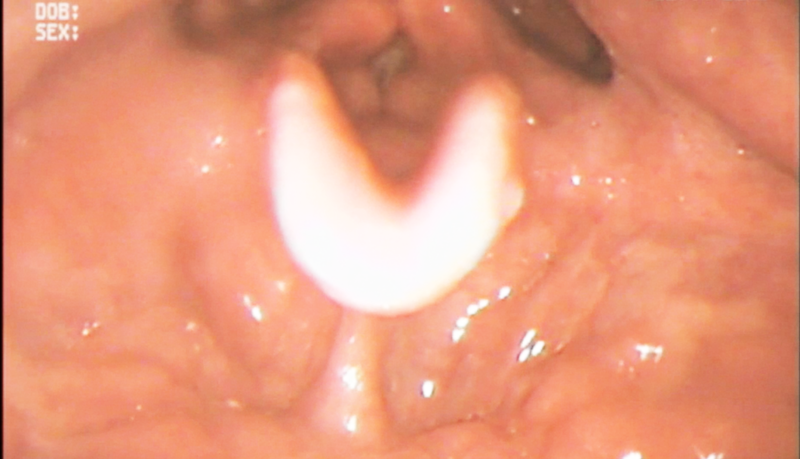 Briefly, this adult male 5 days prior to seeing me developed an acute onset severe sore throat with difficulty swallowing that occurred suddenly over a 24 hour period of time. 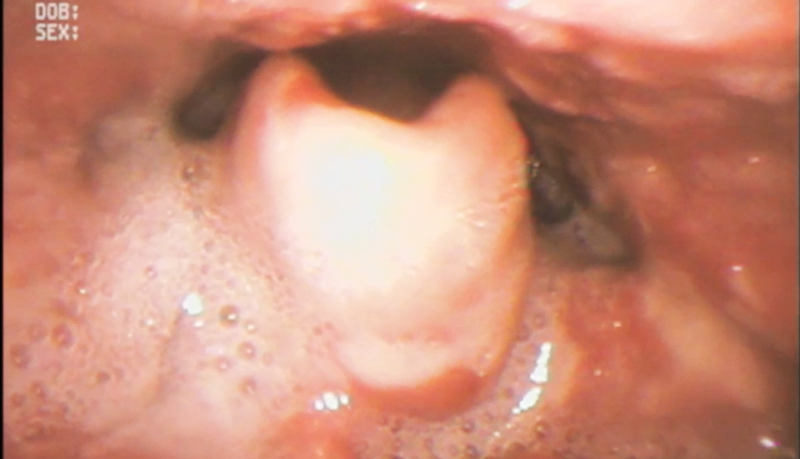 The patient reported the severe sore throat was localized to the base of tongue region. 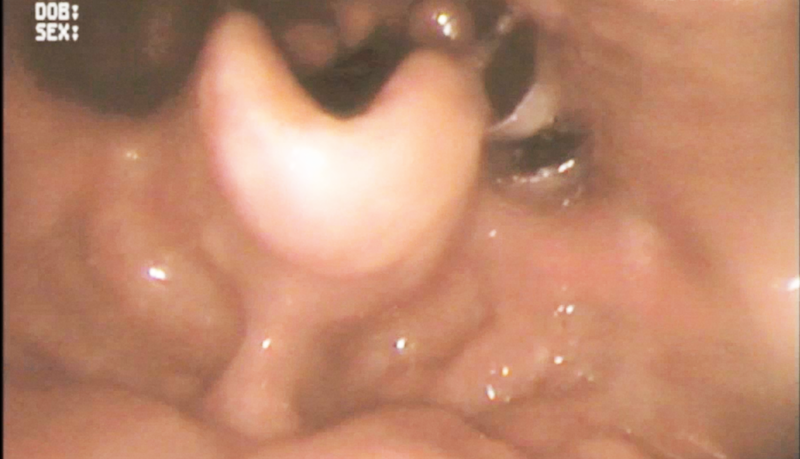 The following series of pictures document the epiglottitis appearance starting on day 1 when first diagnosed to day 7 when it finally resolved all in the same patient. Following the pictures at the bottom is a video showing the same, but in a video format.